As of 2014, Yemeni air defenses were grouped into nine air-defense brigades, each operating a mix of surface-to-air missile sites equipped with S-75/SA-2, S-125/SA-3, 2K12/SA-6 and 9K31/SA-9 missile systems. By the time Houthi insurgents descended from the mountains of northern Yemen and brought Sana’a under their control in September 2014, the Yemeni military was already suffering deep internal divisions. A few units – foremost those operating aircraft – sided with the legitimate president, Abdrabbuh Mansour Hadi, but most of those disintegrated by February 2015. The majority of the military sided with former president Ali Abdullah Saleh. One of the first military units to publicly follow Saleh and side with the Houthis was the 101st Air Defense Brigade of the Yemeni air force. Unsurprisingly, while most of top commanders and nearly all of the flying personnel of the Yemeni air rorce refused to obey orders from the Houthis, the personnel of the 110th Air Defense Brigade – responsible for the defense of Daylami air base at Sana’a International — followed the example of the 101st and joined the insurgency. Two other air-defense brigades – the 140th and the 160th – were responsible for the defense of the Yemeni capital. Most of their personnel had sided with the Houthis by January 2015. Similar scenes occurred in central and western Yemen. Personnel of the 150th Air Defense Brigade in Hodeida, and of the 180th Air Defense Brigade responsible for the area around Ma’rib, joined the Houthis. The 170th Air Defense Brigade protecting the strategically important Bab Al Mandab Strait joined the Houthis in mid-March 2015. Farther south and east, the situation was entirely different, primarily because the Houthis never managed to reach the relevant bases. The 120th Air Defense Brigade – which used to be responsible for Aden – fell apart during the chaos of March 2015, and was never re-established. In eastern Yemen, the 190th Air Defense Brigade, based at Riyan air base near the port of Mukalla, was overrun by Al Qaeda. As far as is known, the jihadists massacred some of its officers. The rest of the personnel disappeared. By late March 2015, the Houthis and allied Yemeni military units had taken over most of air-defense assets of the former Yemeni air force. In this way, they found themselves in possession of at least six S-75/SA-2 systems, five or six S-125/SA-3s, two 2K12/SA-6s and four 9K31/SA-9s, organized into seven air-defense brigades. 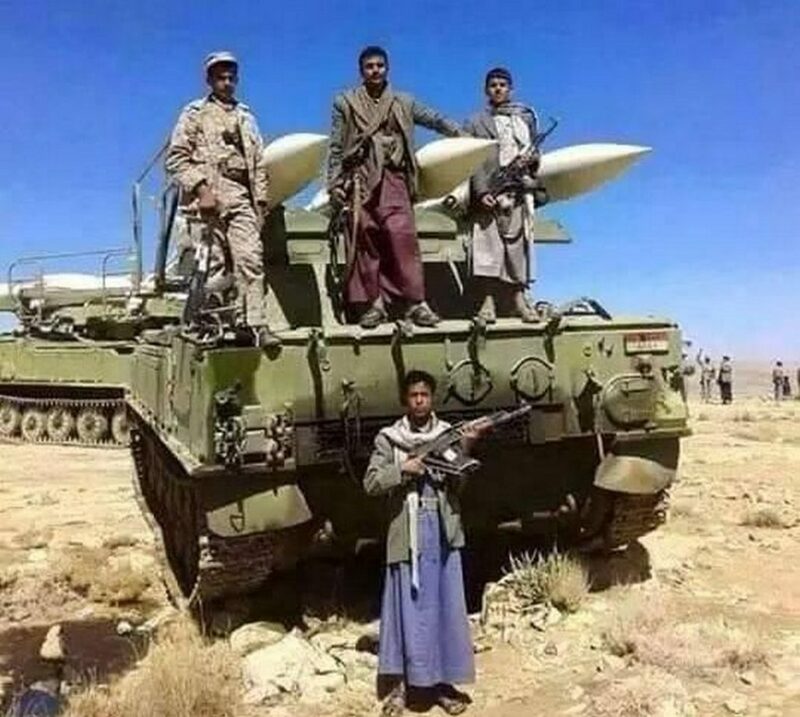 When a Saudi-led coalition intervened in Yemen in March 2015, these air-defense units found themselves on the receiving end of a major suppression-of-enemy-air-defenses campaign. Deploying some of most advanced U.S.- and European-made fighter-bombers and associated armament, the Saudis and allies systematically tracked down and destroyed not only most of the Houthis’ radars, but also most of their launchers and support equipment. The Yemenis fought back, firing as many as 40 surface-to-air missiles. They claimed to have shot down two Saudi warplanes, two Emirati ones and at least one Sudanese plane. In fact, the Houthis shot down nothing. By April 2015, the 101st, 110th, 140th, 160th and 180th Air Defense Brigades were largely neutralized. Only the 150th and 170th Air Defense Brigades managed to recover and hide most of their equipment. In comparison, various shoulder-launched air-defense missiles and guns belonging to Houthi-allied Yemeni army units proved far more effective during the first phase of the conflict. By the end of 2015, these were responsible for destroying one Moroccan F-16C, a Bahraini F-16C, two Saudi AH-64As and up to a dozen drones. Once it became clear that the war would last longer, in May 2015 most of the surviving air-defense equipment was taken over by the Houthis’ new Missile Force. Consisting of officers with decades of experience operating various missile systems and equipped with whatever armament and tools were left after the first few weeks of air strikes, this force established its own research division — the Missile Research & Development Center. The MRDC became responsible for converting a stock of around 200 V-755 SAMs from the S-75/SA-2 system into ballistic missiles. Deployed under the designations Qaher-1, Qaher-2 and Qaher-2M, dozens of these were fired at different targets in Yemen and Saudi Arabia. What exactly happened to the other heavy air-defense missiles remains unclear. The disappearance of systems such as the S-125/SA-3 and 2K12/SA-6 from the battlefields of the Yemen war seems to indicate their near-complete destruction. Under constant stream of air strikes, by 2016 the Houthi coalition was thus in urgent need of other means of air-defense.